The Bruhm 43 Inch Curved Full HD Digital Smart TV revolutionizes TV watching experience. If you wish to have a big screen TV, you should consider the Bruhm 43 inch TV. The TV comes with an improved curved design, excellent picture quality and incredible features. The TV has received numerous positive reviews making it one of the best curved TVs to buy in Kenya. Bruhm TV prices in Kenya are generally affordable. This TV normally retails for around KES 32,000. Check Current Price! When turned off you will be attracted to the stunning pictures and marvel at its look when switched off. It has a sleek and elegant design that compliments it is its free high-quality wall mount. The elegance of the metal finish blends perfectly with your Bruhm 43 inch TV’s Curved bringing a welcoming first impression to your guests. In addition, With the Bruhm 43 Inch Curved Full HD Digital Smart TV, you will notice a significant difference in sharpness. The bigger the screen, the more crisp and focused images you get on standard flat screen edges. This improves with Curved screens. Bruhm 43 Inch Curved Full HD Digital Smart TV has a wide viewing angle; you don’t have to sit directly in front of the TV to view images clearly. Normally most of the LED TVs have a viewing angle of 175 degrees so you can enjoy your favorite TV channel from any position. Viewers can also improve their viewing angle by placing their LED TV on a full-motion mount using the free TV mount which ensures one has an optimal viewing angle despite their sitting position. Additionally, Curved edges of your TV are designed to track the natural shape of a human eye. It has also been reported that individuals who watch Curved TVs experience reduced fatigue levels; eyeballs require less movement to focus hence reducing eye stiffness. So far, most of the Bruhm BFP 43 Inch Curved Full HD digital Smart LED TV buyers are happy about its incredible features. 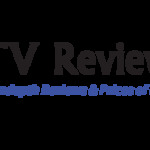 This is due to numerous positive reviews the Bruhm 43″ (BFP-C43LESTW) inch TV has received. Additionally, Bruhm 43 inch TV price in Kenya is considered to be affordable when compared to similar TV brands. Moreover, this television comes with a 2-year product warranty. You can bring your media like movies, music, and photos to the huge screen with Bruhm BFP 43 Inch Curved Full HD digital Smart LED TV. You can also share your media with your loved one using its one USB port. Clear audio and videos from your laptop or any HDMI capable media mobile device can also be enjoyed on your screen using HDMI. Other multimedia features include VGA, Y Pb Pr, audio jack, AV input and AV output.. Finally, it is worth noting that unlike most cheap TV models, the 43” Bruhm Curved Full HD digital Smart LED TV will not skyrocket your energy bill. It is Energy Star certified. Visit best Bruhm TV shops, place your order today and change the interior decor of your living room with Bruhm BFP 43 Inch Curved Full HD digital Smart LED TV. 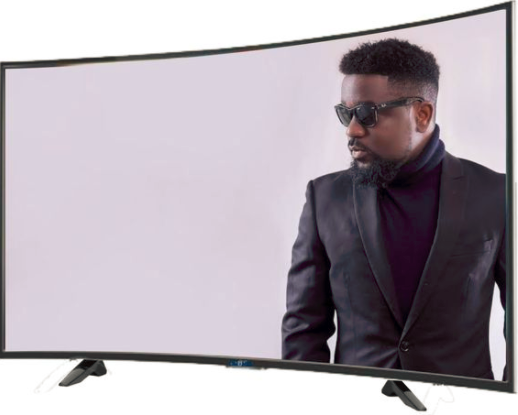 This Bruhm 43 Inch Curved Full HD Digital Smart TV has an inbuilt decoder so you don’t have to purchase an external set-top box to enjoy both local and international free to air channels. This is particularly economical to the users who wish the increase the number of channels but do not want to replace any cable.